Did you know that FaceIT DNA, has partnered with more than 6,100 DNA Collection centers across the country? There is very likely one near you — and if there isn’t, we provide a mobile service and can meet you at your home, office, hospital or any other location. We can also mail you a DNA kit that you can use in the privacy of your home. Science has now allowed FaceIT DNA to use DNA Face Matching algorithms to add in determining ancestral relationship as well. For example, you can now upload a picture of an aunt or uncle and compare it to a niece or nephew. You can compare the faces of 2 siblings, cousins even a grandparent to a grandchild to check the possibilities of biological relationship! We provide a variety of DNA testing options for you, ranging from Facial Recognition DNA Testing, paternity tests, immigration testing, noninvasive prenatal tests and much more. Our legally admissible paternity test costs $350. Our Facial Recognition Services start at $38. Want to learn more about us? FaceIT DNA treats every case with the utmost respect, confidentiality and care. Reach out to us today. We’d be happy to assist. 833-322-3362 or support@facednatest.com. * Regarding Facial Testing: To have same day results please submit your questionnaire and photo prior to 4:00 pm Central. Information submitted after that time will be calculated and released the following day (even on weekends) Prior to 4:00 pm Central time. DNA Face Matching is a technique that allows experts to compare one person’s face to another and suggest a possibility of relationship. This is commonly done with a Father & Child, but with recent advancements, DNA Face Matching now available to Grandparents, Aunts, Uncles, Siblings and potential Cousins. Our customers tell us DNA Face Matching is an awesome way to verify if the results you’ve received from an Ancestry DNA test are truly accurate. Cool right! Once you receive your ancestry test report from any company, including ours, perform a DNA Face Matching analysis. Its lots of fun and results are fast. 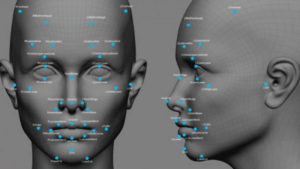 DNA Face Matching uses a similar theory as present day Facial Recognition Technology. Facial Recognition is generally completed in three steps: Detection, Faceprint Creation, and Verification or Identification. A Faceprint is like a fingerprint record, a Faceprint is a set of characteristics and shapes that specifically identify one person’s particular face. Elements of a Faceprint include the remote locations of facial features like eyes, lips, eyebrows, nose shape etc. Someone with larger lips, high cheekbones and a larger nose will have a very different Faceprint from someone with smaller lips, lower cheekbones and a smaller nose. When we compare the pictures of 2 different individuals, we can provide a written break down of facial and hereditary characteristics that are similar and those that differ. There’s no way of predicting with 100% accuracy, but our clients find it comforting to have a skilled second opinion on their photos. That’s what we provide, and we do it well. Nowadays facial recognition is being used at airports, businesses, home and office Security even our mobile phones. It’s only fitting that science would incorporate facial recognition with genetic studies and hereditary characteristics. With recent advancements you can now compare one person’s facial features to another to see some of the things that are similar and others that are distinctly different. Our reports breakdown those similarities and shows you exactly what matches and how. It gives you a detailed percentage of what facial features actually match and what features can be obtained through hereditary from a direct family member or what’s considered an indirect family member like an Aunt, Uncle, Sibling, Grandparent or Cousin. Try it now. Compare and discover your facial similarities and differences today! Face IT DNA LLC has pioneered the algorithms used to perform facial comparisons. We stand by our services 100%. With this promise you can’t help but try our services. This may possibly reveal answers to questions you may have related to paternity.